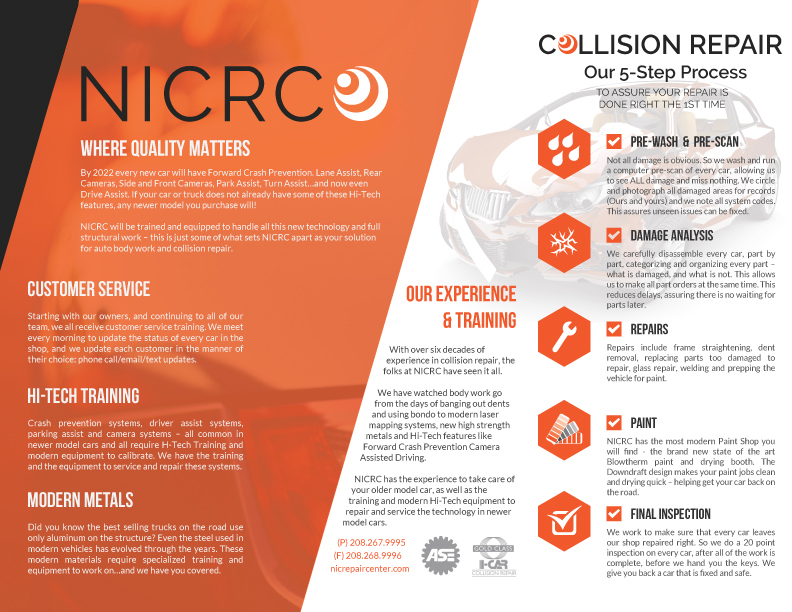 Smalltown Design recently produced brochures for North Idaho Collision Repair Center. NICRC tagline is "Where Quality Matters" - these brochures communicate that commitment. Front, Back and Inset Panels. 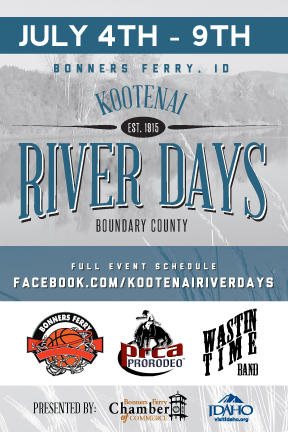 So glad to partner with the Bonners Ferry Chamber of Commerce again this year to promote the Kootenai River Days 2016 - July 4th - 9th. Keep tabs on the week long event schedule on their Facebook Page. The Hemlocks is a long standing establishment that began as a full service restaurant. Over the years – through several owners – the motel and then the RV Park were added. In 2013, Tammy and Will Hedrick purchased The Hemlocks and with great joy have been working to revive the rustic atmosphere of the much beloved restaurant and facilities...from hemlockslodging.com. Smalltown Designs has been honored to partner with Will & Tammy Hedrick in resurrecting the Boundary County landmark establishment - The Hemlocks. We have created for The Hemlocks: Website w/ an online Reservation plugin, Google+ account and Business Listing, Brochure, Business Cards, Magnetic Truck Door Signs, and merged multiple Facebook pages,. At last report Will & Tammy are booking RV, Cabin and Tent Camping clients at a record rate this season! Opening Soon: Motel section of Hemlocks Lodging! Congratulations Will & Tammy on the growing business! Congratulations to Sage Dixon on winning the election for Idaho House of Representatives, District 1B. As noted in an earlier post, Sage is a Small Town client and friend.